U.S. #S1 was issued on this day in 1954. On November 30, 1954, the Post Office Department issued its first Savings Stamp, #S1. 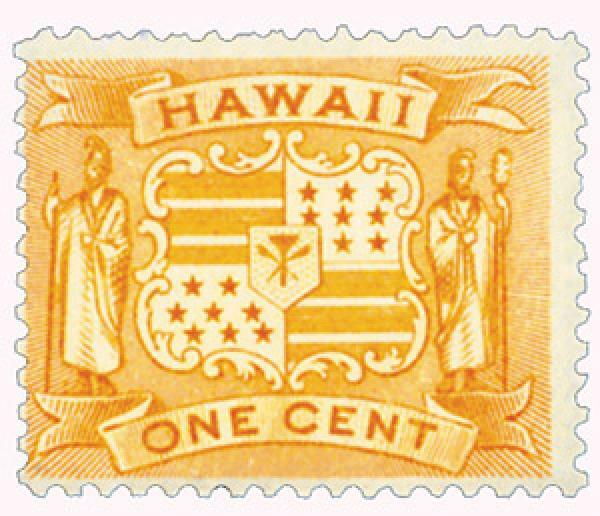 Over the years, there have been several different types of Savings Stamps in the U.S. In 1911, there were Postal Savings stamps that could be redeemed as credits to postal savings accounts. Then in 1917, there were War Savings stamps that could be redeemed for U.S. treasury war certificates, defense bonds or war bonds. 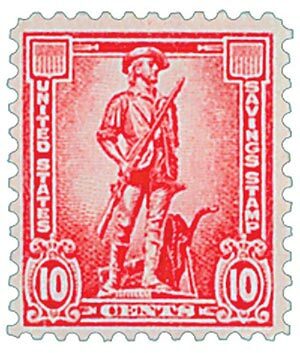 War savings stamps were discontinued after World War I, but were reinstated with American entry into World War II and took on a new look, featuring the patriotic “Minuteman.” Postal Savings stamps of this era also featured the Minuteman. U.S. #1725 was issued for the 200th anniversary of San Jose. 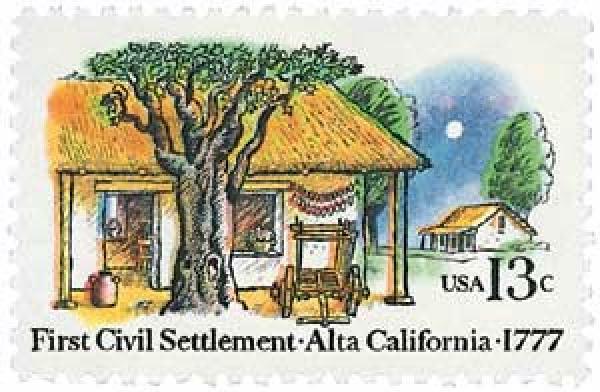 On November 29, 1777, the first non-military settlement in California was established as El Pueblo de San José de Guadalupe in Alta, California. Before the arrival of Europeans, the Ohlone Native American tribes lived in the area of present-day San Jose. The first permanent European settlements then came in 1770 when Gaspar de Portolà and Junípero Serra founded the Presidio of Monterey and the Mission San Carlos Borromeo de Carmelo. Hawaii #H74 pictures Hawaii’s Coat of Arms. On November 28, 1843, France and the United Kingdom officially recognized Hawaii as an independent Kingdom. After the death of King Kamehameha in 1819, his wife, newly converted Protestant Queen regent Ka’ahumanu, outlawed Catholicism in Hawaii. French Catholic priests were deported and native Hawaiian Catholic converts were arrested. They were later freed when they rejected Catholicism. U.S. #1439 was issued for the 25th anniversary of the first CARE packages. 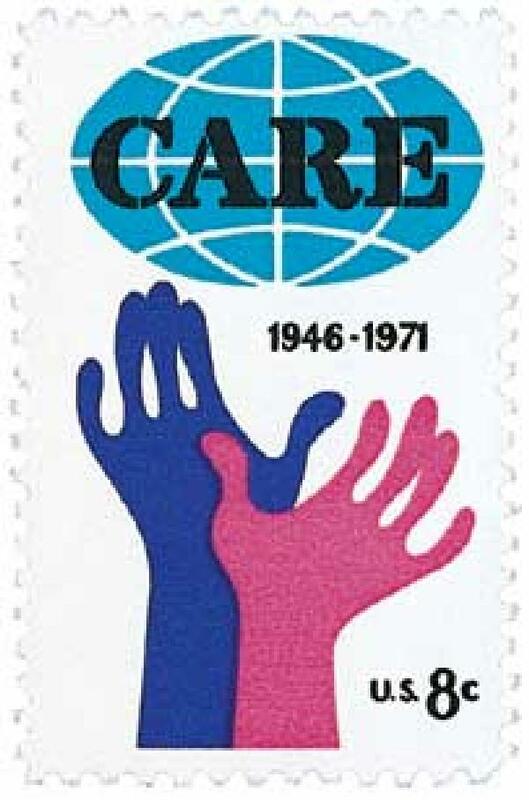 On November 27, 1945, Cooperative for American Remittances to Europe (CARE) was formed. After World War II ended in August 1945, Congress and the American public called for President Harry Truman to allow private organizations to offer relief services to people in Europe that were starving or suffering after the war. Truman agreed and CARE was officially founded on November 27. U.S. #2013 was issued in Walker’s hometown of Oswego, New York. 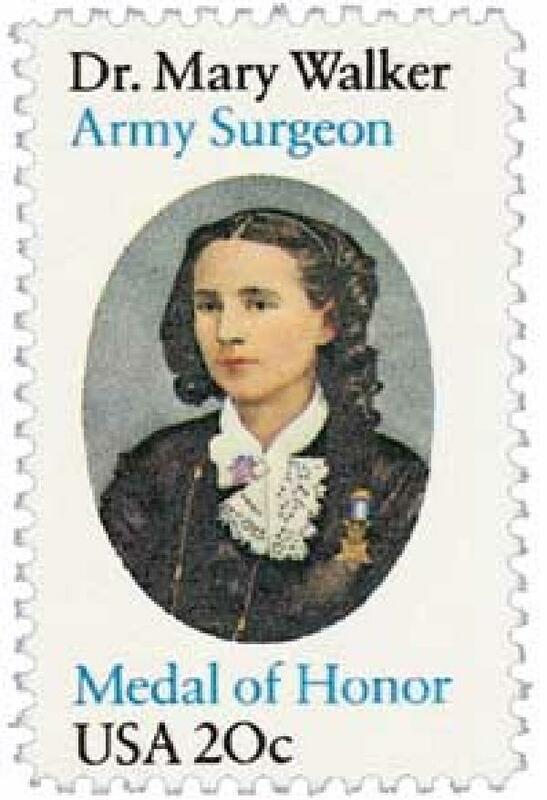 Mary Edwards Walker was born on November 26, 1832, in Oswego, New York, about 40 miles from Mystic’s home in Camden. The youngest of seven children, Walker was raised in a progressive household where her parents encouraged her to be a free thinker. Walker’s parents wanted Mary and her sisters to get the same education as their son, so they founded the first free schoolhouse in Oswego, which Mary attended. U.S. #1123 was issued for the 200th anniversary of this event. It pictures Washington the center on his horse. 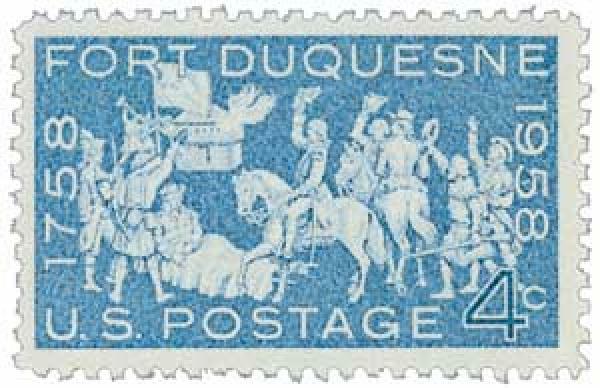 On November 25, 1758, British and Colonial American forces successfully took over Fort Duquesne from the French. The spot where the Allegheny and Monongahela rivers join to form the Ohio River has long been a significant spot for trade and settlement. In the 1750s, the French began building a series of forts leading to this spot, which upset British settlers who believed it was threatening their land claims.